But, contrary to what one might think, the virus is not new to researchers. It was first discovered in 1947 in a sentinel monkey, Rhesus 766, that was being used to monitor for the presence of yellow fever in the Zika forest of Uganda. At the time, cell lines were not available for studying viruses, so serum from the febrile monkey was inoculated intracerebrally into mice. All the mice became sick, and the virus isolated from their brains was called Zika virus. The same virus was subsequently isolated from mosquitoes in the forest and these are now known to be the main vector for the transmission of the virus. Serology studies in the 1950s showed that humans carried antibodies against Zika virus while the virus itself was first isolated from humans in Nigeria in 1968.
explains Anna-Bella Failloux, entomologist and head of the Arbovirus and vector insects unit at the Pasteur Institute in Paris. This research institution is the first to have sequenced the entire genome of the Zika virus. Once an infected mosquito bites an individual, he or she can carry the virus in the blood for up to a week after the infection. During this period mosquitoes that bite the person can get infected and then pass on the virus to others. There have also been reports of transmission through sexual contact or via blood transfusion, but these are less common. The recent outburst of Zika, could be linked to the tenacious nature of one of its carrier host, Aedes albopictus or the tiger mosquito. This is classified in the top 100 most invasive species in the world and is rapidly spreading across the world. Originally from Asia, it started spreading in the 1980s and has colonised North and South America, Europe and Africa. This colonial dispersive capacity is possible because the eggs of the mosquito can survive up to six months without the water they need to hatch, and this helps them avoid the harsh winter that would otherwise kill them. Globalization and climate change are only making things worse. Luckily tiger mosquitoes don’t transmit malaria, unluckily, they are an excellent host for Dengue, Chikungunya and Zika – sometimes being infected by and transmitting all three at the same time. Researchers, such as AB Failloux and her team, are looking at the mosquito to study its susceptibility to contract the Zika virus but also the progression and evolution of the virus in the insects. Humans can only be infected once in their lifetime by the virus, after which they are immune to it. Therefore, the Zika virus main host is the mosquito. Mosquitoes harbour the virus their whole life without getting sick. “The insect can house 1 billion viral particle without being sick. What protects it could be transferable to humans,” explains Failloux. Understanding how the virus enters the body and organs of the insect and how they coexist with it could help understand how it works and progresses in humans and eventually contribute to finding a cure. These studies could also help understanding how the virus progresses inside the mosquito so it can be blocked and the transmission to humans could be stopped. This data will also be used to assess the potential scope of the epidemic and determine whether it could reach the scale of the chikungunya epidemic. The researchers want to establish the role of the mosquitoes in the dynamics of the epidemic. But the rapid spread of the virus, and potential connection to the development of Guillain-Barré syndrome in 58 patients and the otherwise rare birth defect of microencephaly have drawn plenty of attention from the public and from government officials. A team for the Pasteur Institute in Paris has recently (01/03/16) proven for the first time that the Zika virus can trigger the development of Guillain-Barré syndrome. 100% of the patients affected by the condition carried the Zika virus and in 93% of the time, the infection was recent. This disease causes progressive muscle weakness due to damage of the peripheral nervous system by the body’s immune system. Patients often experience respiratory problems and paralysis. It can also be caused by other bacterial and viral infections such as the flu, dengue and others, but this is the first time it has been tied to the Zika virus. The risk of developing Guillain-Barré syndrome is estimated to 2.4 for 10,000 infections by the Zika virus however the mechanism by which the virus causes this neurological syndrome still remains unknown. The zika virus has also potentially been linked to a rare birth defect, microcephaly. Between 2010 and 2014, Brazil saw an average of 163 cases of microcephaly per year. But since October 2015, only a few months after the virus was first detected in the country, 3,530 cases have been recorded — a more than 20-fold increase. Moreover, over 4.000 reported cases of microcephaly in children were born from a mother infected by the virus during pregnancy – the Zika virus was found in the amniotic fluid, placenta and tissue and brain of those foetuses, suggesting it can cross the placenta barrier and providing more evidence for a causal link. Clinical observational studies have begun since January 2016 in Guadeloupe, French Guiana and Martinique to monitor pregnant women and confirm these suggestions. For the first time, a study has confirmed the link between the Zika virus and microcephaly based mathematical models and surveillance data. The study suggests that mothers infected by the Zika virus during their first trimester of pregnancy, the most at risk according to researchers, would be 50 times more likely to give birth to a baby with mocrocephaly. About 1% of fetuses with mother’s infected by the virus during their first trimester are affected by microcephaly. That is 1 in 100 babies of infected mothers. However, this risk is lower than for other viral infections associated with cerebral lesions during pregnancy. For example contracting rubella during the first trimester an lead from 38 to 100% chance of neural complications in the fetuses. Scientist are already reporting cases of still births and babies dead at birth with signs of neurological disorders caused by the Zika virus. The first case of a baby born dead with the Zika virus in tissues outside the brain and the spinal tissue was recently documented (26/02/16). The case, reported in the journal PLOS Neglected Tropical Diseases provides the first evidence that Zika can cause damage to tissues outside of the central nervous system in a foetus. This was confirmed by a study published in Cell Stem Cell, that showed that laboratory-grown human neural progenitor cells, which give rise to the kind of neurons and glia found in the brain, can be infected and killed by a strain of Zika virus. This is a first suggestion of how Zika infection of pregnant women might lead to microcephaly in their babies. The most urgent priority on the ground, beyond controlling the spread of the disease, is research to answer basic but crucial questions on how the virus works. working out the relationship between the viral load in the mother and microcephaly in her child. She hopes to estimate a timeframe where the infant is most at risk and how likely the virus is to damage the child. Because these are new turns of event, Researchers have had to build everything from scratch. Failloux and her team suggests to use mostly immunocompromised mice, the same that were used in Chikungunya studies. Mice are not a natural carrier for the Zika virus, so their immune system needs to be shut down for the virus to inoculate the animals. The virus-infected mice will hopefully help determine a timeframe for infection and how the virus progresses in the body and which organs are affected. 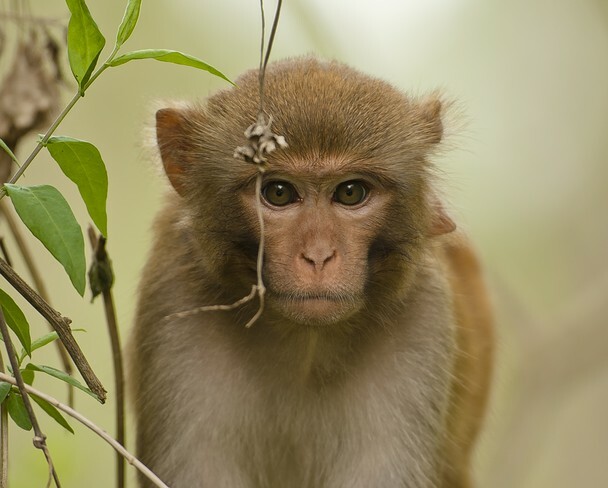 Thomas Friedrich, an Associate Professor at the University of Wisconsin and his team are also trying to answer some fundamental questions on how the virus works using macaques. Working with University of Wisconsin researchers David O’Connor, Jorge Osorio, and others, the team wishes to understand the basic biology of Zika virus: where in the body it replicates, to what level, and for how long. For example, there is evidence that infected people and monkeys have virus in urine and saliva after it has disappeared from the blood. The researchers want to understand how Zika virus can persist in these fluids. This “prolonged shedding” of virus from saliva, urine, etc could indicate that there is a “reservoir” of infection somewhere in the body that is not accessed readily by the blood. Such reservoirs could allow the infection to persist for longer than we have previously thought it does, and might mean that infected people could pass the virus on after their initial symptoms resolve. We are now recognizing that Ebola may persist somewhere in the body in this fashion, and could come back to cause disease after we thought it was cleared from the infected person. Monkeys are naturally infected by the Zika virus, and can be use to model very closely an immune response. Where the mice need to be immunocompromised to be infected, the monkeys don’t. The virus might not behave in the same way in immunocompromised animals and might not model the human’s response as well. The Winsconsin team also want to work out the relationship between the viral load in the mother and microcephaly in her child. They hope to estimate a timeframe where the infant is most at risk, how likely the virus is to damage the child and understand how Zika virus might cause birth defects. They will be checking the virus’ presence in a wide range of tissues and organs in macaques at different stages of pregnancy. There is a suspicion among many scientists that infection during the first trimester would be particularly dangerous, but we don’t know this. Similarly, they strongly suspect that Zika can cause microcephaly and other problems by directly infecting the fetus. But it’s possible that this is not always necessary and that the mother’s immune response could play a role too. The macaque model will allow them determine this. The Wisconsin lab has already started a dose study in male macaques using human strains of a Zika virus found in French Polynesia which is more than 99% identical to the strain found in South America. - They are looking at how much of the virus is needed for an infection and where it goes in the body. The study will hopefully help define how the Zika virus replicates and is shed in different anatomical sites. The data is published online is real time and we can expect more data to be coming soon. The researchers hope that releasing the data to the scientific community will help to speed up research into the nature of the virus but also allow for fewer animals used if each research groups know what others are doing, and the information that is gained from each animal is maximized. Distributing up-to-date information — in this case, animal model data — as widely and openly as possible is critical during emergencies such as Zika, where relatively little is known about its pathogenesis, yet public concerns and attention are so high. If the virus behaves the same way in macaques as it does in humans, researchers will be able to glean information by infecting monkeys with varying doses of Zika — data that would be impossible to gain rapidly or ethically from people. Viruses like yellow fever, a relative of Zika, are known to have a “sylvatic cycle” – infections spread among monkeys or other animals that can spill over into humans. So, researchers are also looking at marmosets as potential models for the disease if they can be infected. Marmosets are native to northeastern Brazil, which is the area with the largest number of Zika-related microcephaly cases reported so far. There is to date no solid evidence of non-primate reservoirs for the Zika virus, but one study did find antibodies to Zika in rodents, so the search may continue. All these questions will help establish an animal model for Zika virus infection in humans. Not all humans are equal when faced with the Zika virus. The Functional Genetics of Infectious Diseases unit of the Pasteur Institute in Paris, led by Anavaj Sakuntabhai, is working on human genetic susceptibility to Zika viral infection. By familial genetic study, they have mapped genomic regions that contain genes which confers resistance to Zika viral infection. They hope to test candidate genes residing in the regions by in vitro infection experiment. 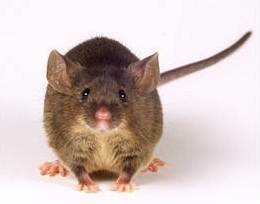 They are screening several mouse strains to identify a suitable mouse model. “For now, we have already found that the interferon pathway plays an important role. Many humans, more susceptible to Zika infections, and perhaps complication such as microcephaly, have mutations on genes in this pathway,” explains Dr Sakuntabhai. The researchers are using interferon receptors knock out mice, with a defect in the interferon pathway, to understand what is going on, and hopefully find human genetic factors which confer resistance to the Zika virus. There is a test that can detect all three mosquito-borne viruses Dengue, Chikungunya and Zika during the initial infection period of five days. However, to date, there are no treatments to cure the disease – except painkillers to relieve the symptoms - and no licensed vaccines to prevent an infection of the Zika virus anywhere in the world. Due to the previously low impact of the virus and the estimated US$160-500 million it costs to develop a vaccine, Zika vaccine has not been a commercial prospect. Other severe and potentially fatal mosquito-borne diseases such as malaria, dengue, and West Nile virus affect millions of people each year and have been a much higher priority. However, once scientists understand enough about the Zika virus to begin developing a cure and a vaccine, animal research will be the foundation of vaccine and treatment development. But, regardless, no vaccine is likely to be available before at least 18 months according to the WHO. Ideal vaccines induces a strong response from the immune system, give long-term protection with few doses, and cause no side effects. Though quickly developing such a vaccine is rarely simple, Anna-bella Failloux explains that in this case vaccine production could be quite straight forward. The Winsconsin team plans to confirm that by “rechallenging” some of their monkeys with the virus to determine if their immune responses can stop a second infection. This would confirm hope that vaccines will be effective. Moreover, given the existence of highly successful and efficacious vaccines against yellow fever and Japanese encephalitis viruses, which are closely related to Zika virus, and several of its relatives, the development of a live attenuated or chimeric vaccine could be quite forthright. Inovio Pharmaceuticals of Plymouth Meeting, Pennsylvania, boasts it already has an experimental Zika vaccine containing nothing more than a plasmid made of Zika genes. With the help of an electrical zap on the skin, the plasmid goes directly into human cells, which then make Zika proteins that stimulate the immune system. CEO Joseph Kim says his team already has begun tests in mice. The National Institute of Allergy and Infectious Diseases’ director, also involved in a vaccine trial thinks animal studies could be completed in a few months and small human studies to evaluate safety and immune responses could begin by the end of 2016. However getting a vaccine approved and supplying millions of doses could take the resources of a major manufacturer. Of the four big pharma companies that make vaccines, only Sanofi Pasteur of Lyon, France—which produces all three existing flavivirus vaccines — has launched a Zika program, though the others say they are watching the field closely. “By the time the vaccine is available, the South American population might have already become partly immune to the virus, just like in other worldwide population, making the vaccine less useful.” Suggests Prof Failloux. Because there isn’t a vaccine yet to fight the Zika virus, the only thing left to do is to wait for the population to become immune, or fight the mosquitoes. This latter option involves fumigation and removing sources of stagnant water where mosquitoes can breed. Brazilian authorities have deployed army troops to hasten this process. People should also wear clothes that cover the body and sleep under bed nets – the basic steps to avoid being bitten. .
Another approach to mosquito control comes from British firm Oxitec which has developed genetically engineered mosquitoes to try and limit the spread of the disease. 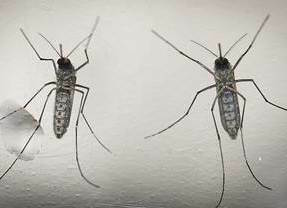 The modified male Aedes aegeypti mosquitoes are let loose to roam free, mate with females in the wild population which then produce offspring that do not survive to adulthood. As females only mate once the population decreases. The biological basis of this control strategy is well understood and similar strategies have been used for decades for insects of mainly agricultural significance. These modified mosquitoes were tested in Piracicaba, Brazil last year in the middle of a dengue outbreak and trials showed that they reduced vector populations by as much as 82 percent. Given the magnitude of the Zika crisus, the WHO encourages affected countries to boost the use of both these old and new approaches to mosquito control as the immediate line of defense. However, the WHO Advisory Group has also recommended further field trials and risk assessment to evaluate the impact of genetically modified organism on disease transmission.